The groundhog has spoken- spring is nearing quickly!! Citrus is a staple in my house during spring and summer. I'll buy 4-5 different types of oranges and everyone creates their perfect orange juice blend. I'll buy grapefruit 10 pounds at a time and they'll be gone in a few days between grapefruit curd, juice, and breakfast. 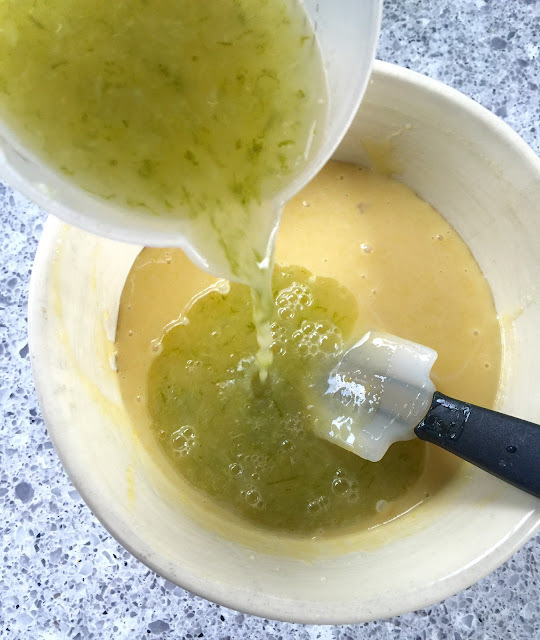 Lemons become lemonade and lemon curd. But limes? 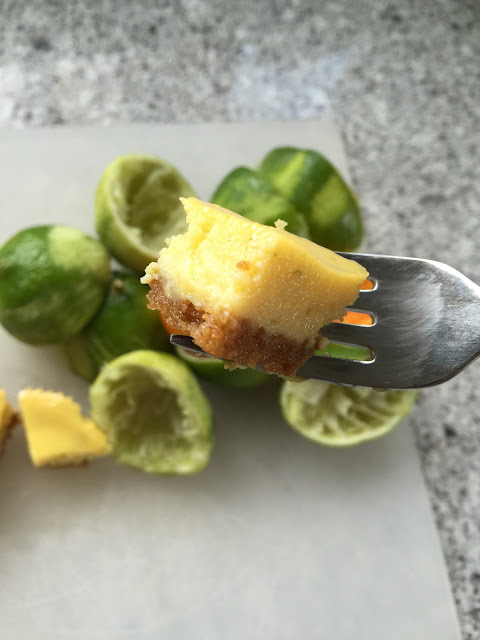 Limes are reserved for key lime pie (and occasionally a chicken marinade). My entire family LOVES key lime pie. Loves it. And no, I don't mean the pastel green, sickly sweet, lime gelatin flavored pie you find in the frozen food section. I mean real key lime. Being this far north, key limes are extremely hard to come by. When I can find them, they should be renamed rock limes- so old that they're mostly brown and rock hard. That's ok though. I'm resourceful. 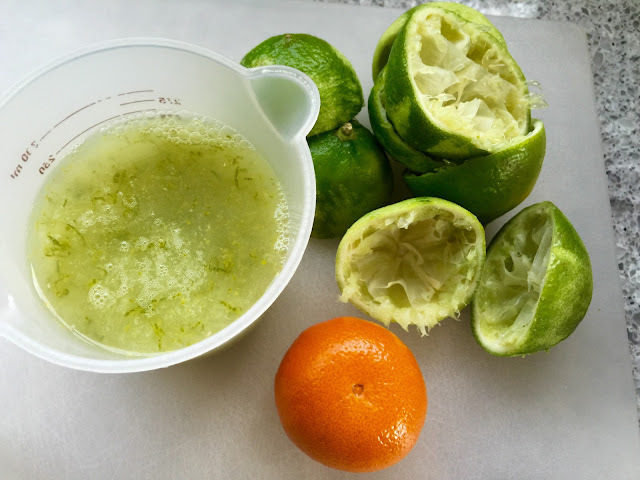 By subbing out a bit of regular lime juice for that of clementine or tangerine (those miniature easy peeling kid-friendly snack oranges)- you get really really close to authentic key lime flavor. So that's what we're going to do here. Juice 1 pound of limes and 1 small clementine (or tangerine). Stir in the zest from 2 limes and set it off to the side. In the bowl of your food processor, process the graham crackers until fine. 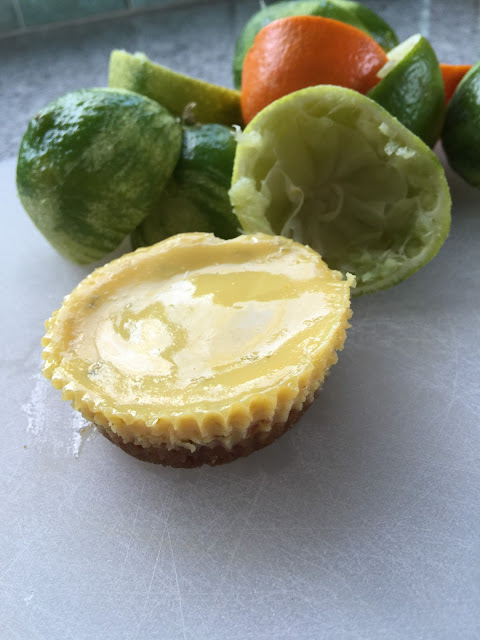 Add the 1/4 cup sugar and zest from 1 lime and process again. Mix in your butter until thoroughly combined. With graham crackers- look for the honey variety. They are SO much better than the original! If you have a food processor, use that for the crumbs. It isn't necessary but does make a uniform crust that packs nicely. 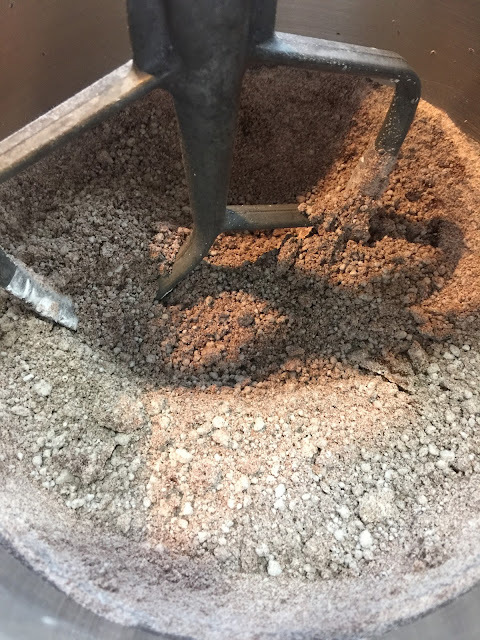 If you don't- make sure your graham cracker crumbs are really finely crushed and stir everything together in a bowl. 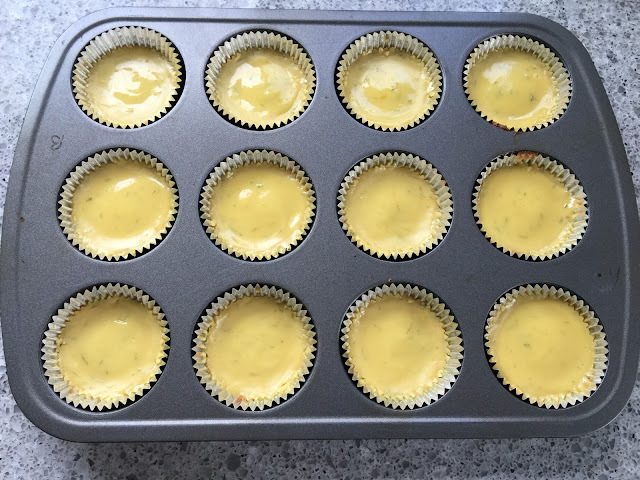 Divide the crust mix between 12 lined standard cupcake/muffin cups. Lining them isn't absolutely required but does make removal exponentially easier. 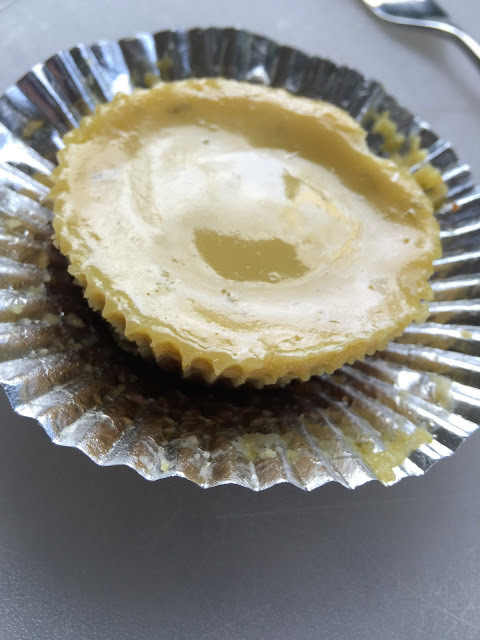 Take a glass that is slightly smaller than your cupcake liner and pack the crumbs down. Bake them in a 350F for 10 minutes. They will puff up and you will be scared you messed up. Don't be scared- they'll settle back down as they cool. Add the juice and zest from earlier. As you stir it will thicken quickly. Pour over your mostly cooled graham crusts. It's ok if the crusts are still a bit warm. Bake for 15 minutes at 350F. Here's how they'll look after baking- notice they aren't green. 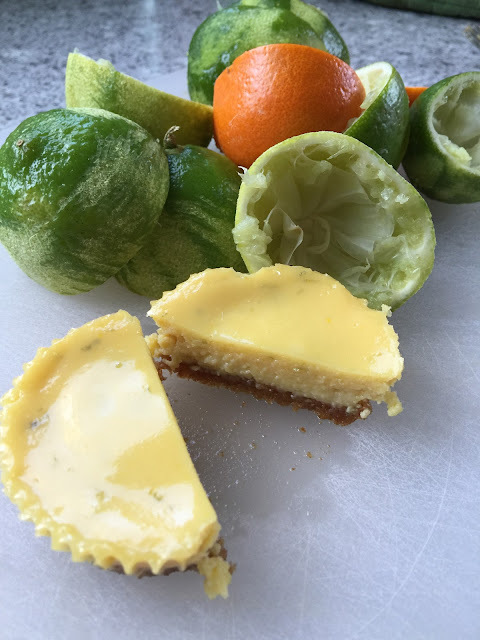 Lime pie isn't green- it should be a yellowish color. Also see the little flecks of zest in the tarts- it adds a nice punch of flavor. Once they cool to room temperature, refrigerate then for an hour. This really lets the flavor get better. As they cool the liners will separate from the tart a bit- makes for easier eating. Pop them out of their liners and enjoy!! 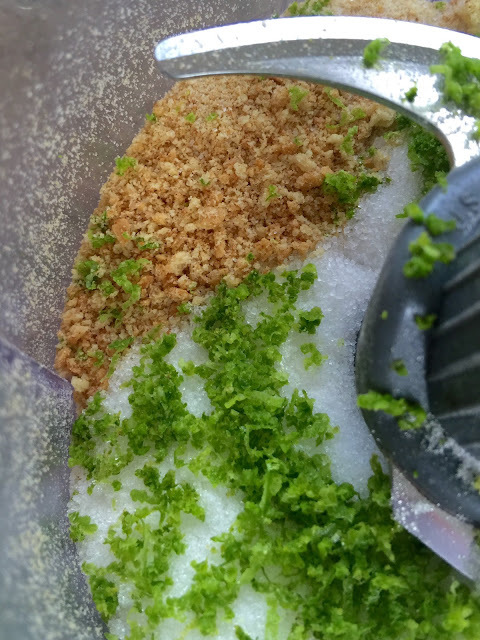 Combine the crumbs, sugar, and lime zest. Mix in the melted butter until everything is evenly moist. 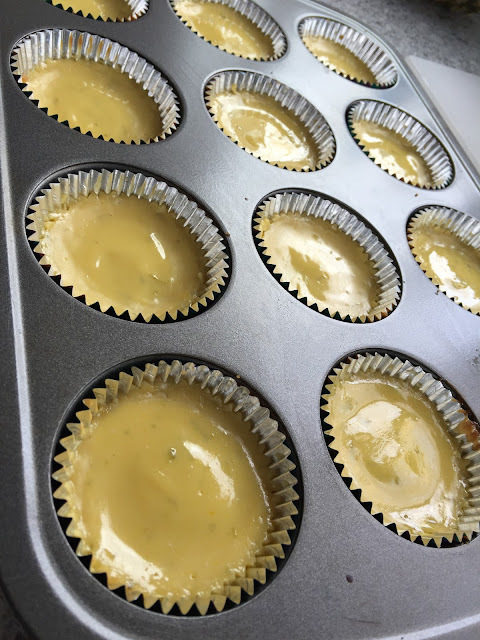 Take the crumbs and divide them as equally as you can into a a standard cupcake pan lined with cupcake liners. 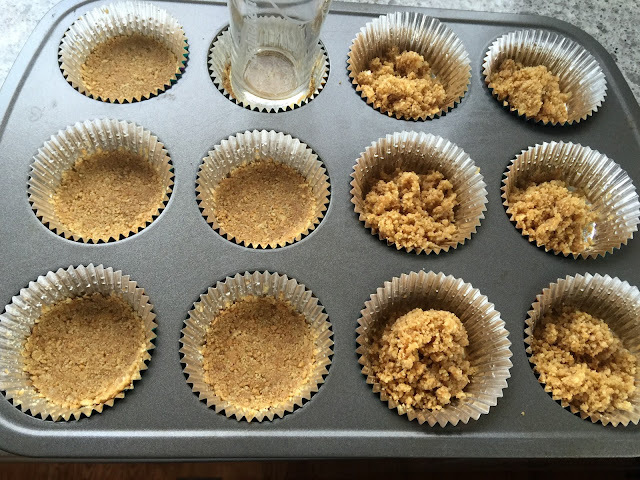 Using a cup that approximately fits the bottom of the tin, push the crumbs down to the bottom. Bake in a 350F degree oven for about 10 minutes. Allow to cool. 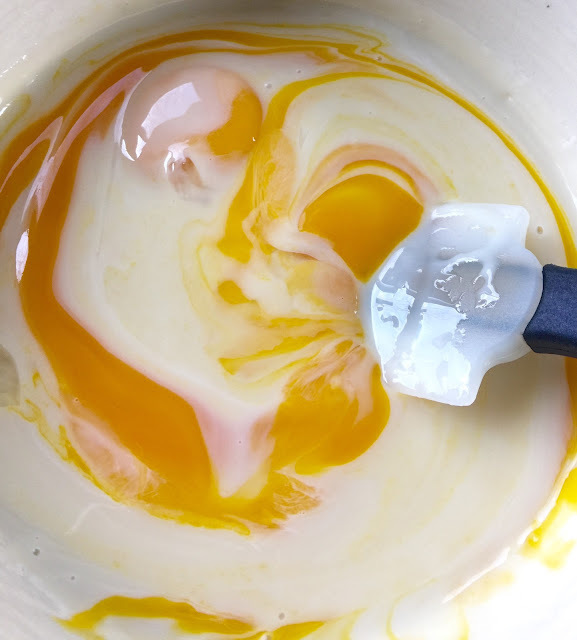 Mix the condensed milk and egg yolks together until combined. Add both of the juices and zest. Stir to combine. It will thicken up almost instantly. Pour batter into each graham cracker cup until 3/4 full. Cook at 350F for 15 minutes. Cool and chill in the fridge for about an hour. 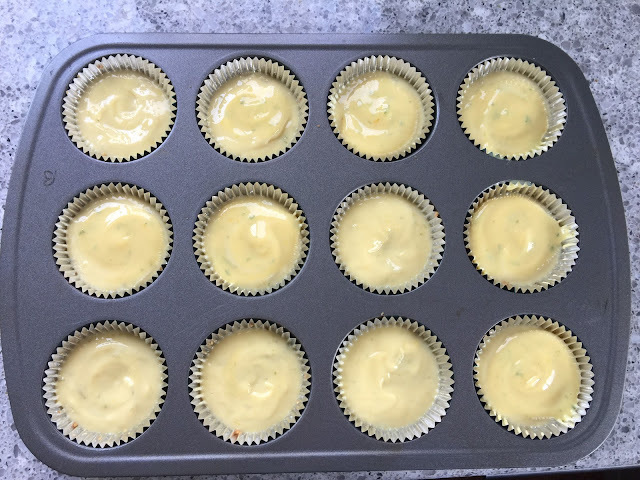 The citrus juice will cause the cupcake liners to peel away a bit, for aesthetics you can remove these before serving. Keep leftovers in a sealed container for up to 4 days in the fridge. Those who know me personally, KNOW I'm a baker. I bake constantly- and that isn't an understatement. One of my most requested frostings is dark chocolate. 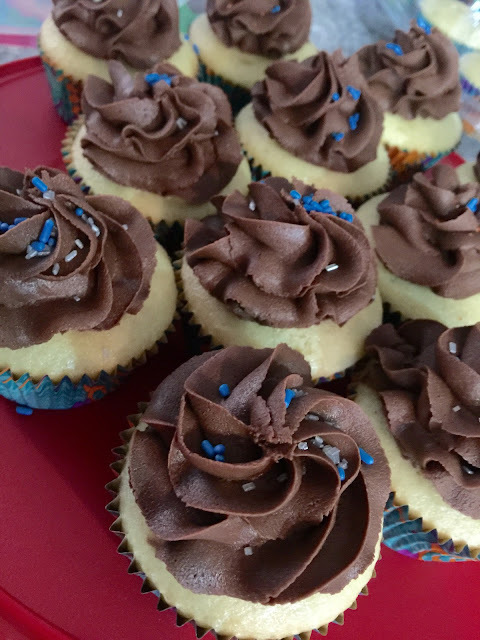 Today, to celebrate 25,000 views on my blog, I'm giving you all that recipe!!! Here goes- melt 1.5 sticks (12 tablespoons) salted butter. You can sub in margarine for the butter if you must. 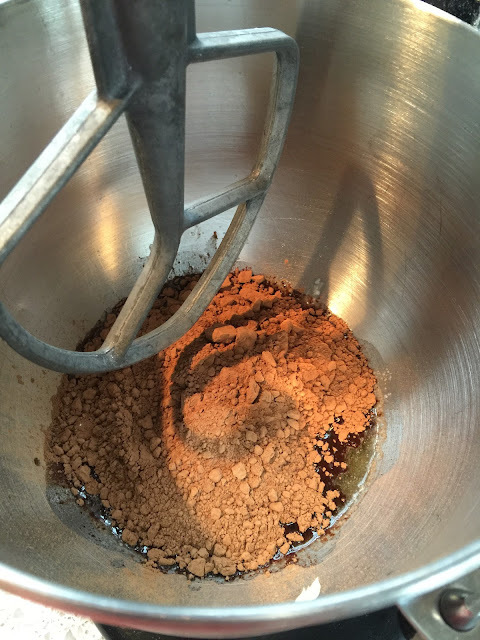 Put the melted butter and 1 cup of cocoa powder in the bowl of your mixer. (If you use a hand mixer, be aware this can get messy as it flies all over the place. You've been warned...) Beat on low until it looks like grainy ganache. 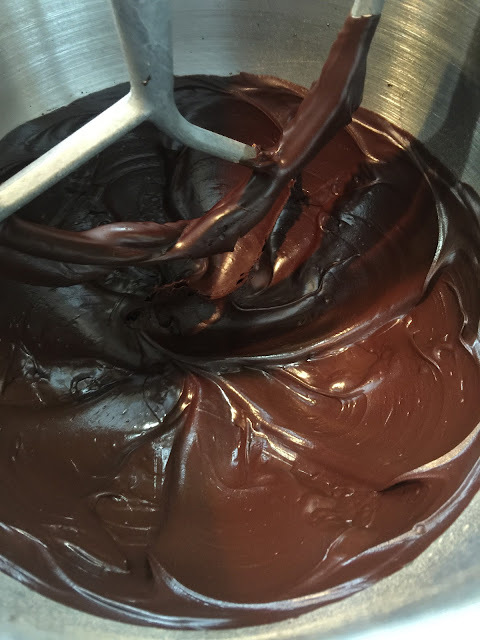 Once you get to the grainy ganache phase take the speed up a few notches and whip until it looks like fudge! If you lick it, it'll taste bitter and weird. Don't let your eyes fool you. You aren't to the lick the beaters phase yet. You're getting there though- stay with me. 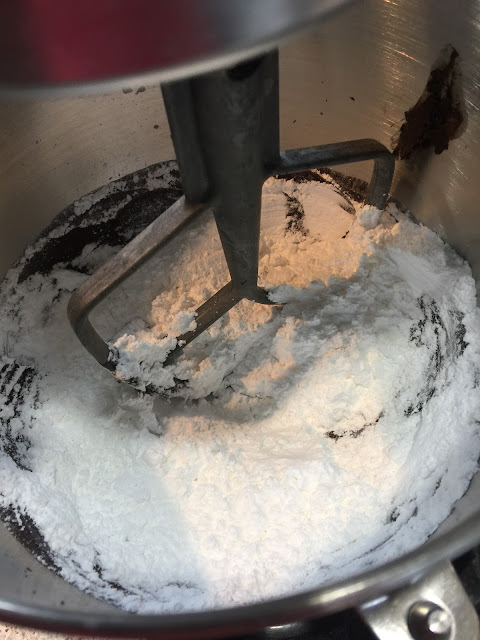 Now toss in 2 cups of powdered sugar and mix on the lowest possible setting so that you don't blow 2 cups of powdered sugar 15 feet in every direction. It will look like snow covered dirt balls. Congrats, you did it correctly! 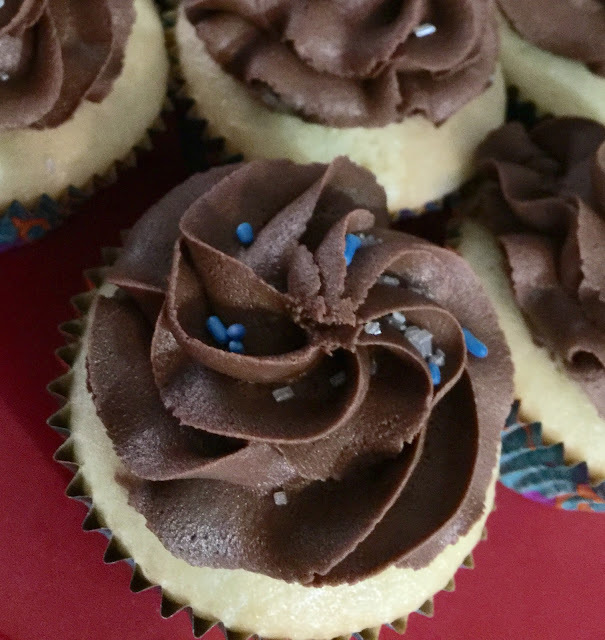 Now pour in your ½ cup of milk and mix until it looks like grainy ganache again. This will take a couple minutes. Add in another 2 cups of powdered sugar and mix on suuuuuper slow again. Once it's all incorporated and looking terrible, raise the speed to medium and beat. Eventually (3-4 minutes later) it will look like actual frosting. Stir in your vanilla. You can swap out the vanilla for other flavored extracts too- hazelnut, coconut, orange, and almond all work really really well! From here you can add the other ½ cup of powdered sugar and make it stiffer or omit. If at the end of beating it's too thin, add more powdered sugar a bit at a time. If it's too thick for your need, add a tiny bit of milk at a time until it's where you need it. I am not an expert in building things with wood. I'm actually fairly terrible at it. I like to guess and estimate measurements- the opposite of any respectable woodworker. 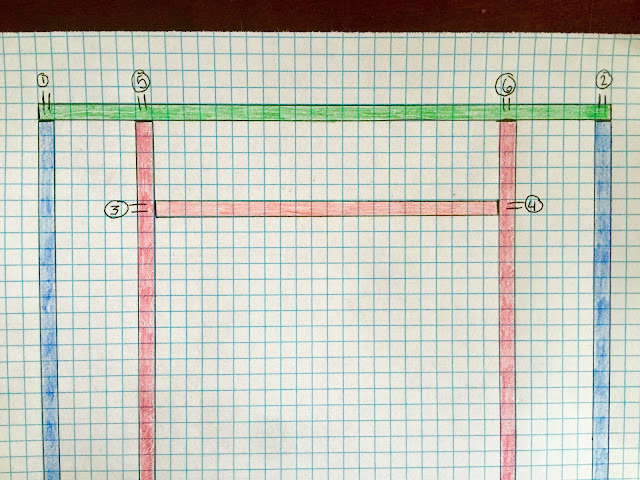 When Husband and I do a project together, he's the one measuring down to the nearest 1 billionth of an inch. My job is to figure out the geometry of the project. I typically design, figure out the angles, and troubleshoot the flaws he points out in my plan. One of the things that drew me to this house originally was the charm. There are a ton of nooks and window seats. Those are always my favorite places to hang out- especially when they overlook property as pretty as ours. Our living room has that exact feature. We didn't touch it because we thought it would become a neat place to sit. Well, a year and a half later I can count on a single hand the number of times someone has sat there. The way the living room is laid out, it just isn't useful space. 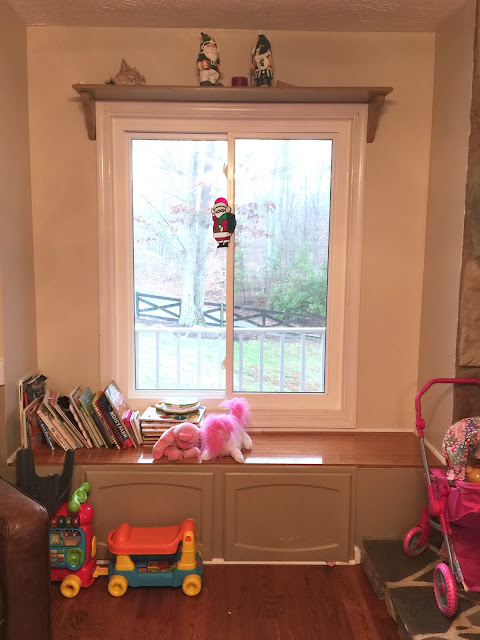 The toys, books, and puzzles always end up on it. See? So I needed a plan. 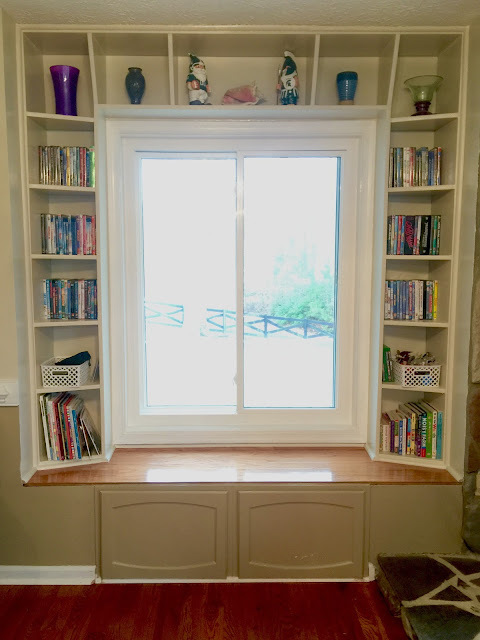 I wanted to find an upside down U-shaped bookcase to fit that exact space. I had no luck- big surprise. 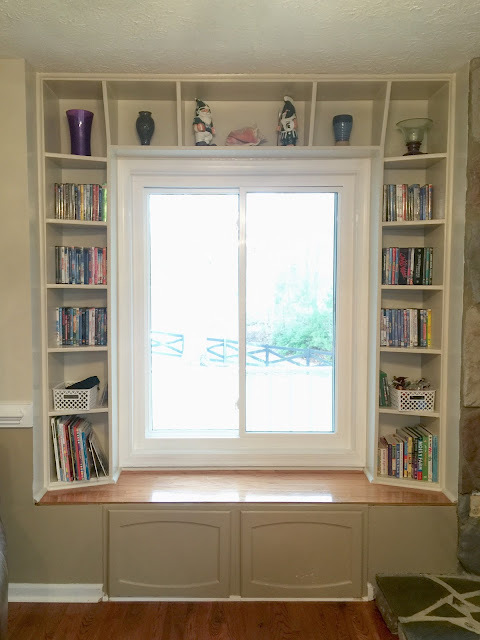 I found skinny bookshelves from Ikea to fit the sides and considered buying them. However at $90 for each of the 2 I'd need- that seemed ridiculous. 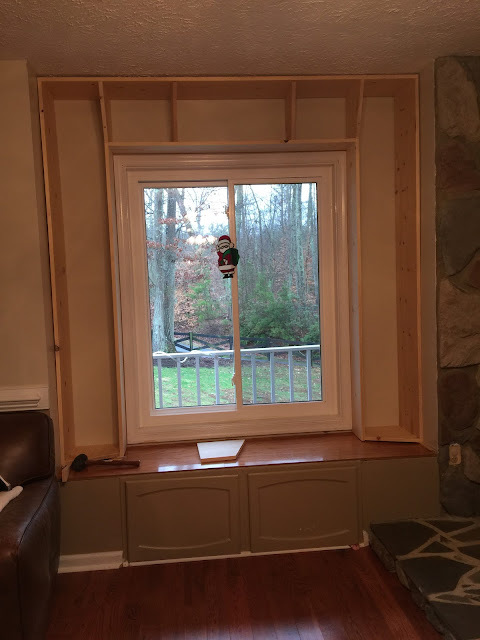 That $180 didn't even include the horizontal piece for over the window. Next option- just build one. Husband was fairly against the idea and didn't think it was necessary. Good thing 2 of my sisters, Kiki and Bee, were on their way to stay with us for a week. In a few short hours I'd have 4 extra hands to help with kidlets and my bookshelf. Once they got here, we spent a few days Netflix and chilling. We all needed that. After I got them nice and relaxed, I hit them with my plan. They were all for it. Kiki and I headed to a lumberyard and bought all the wood we'd need. And then I changed the plan. Figures I'd get an awesome idea after the wood was purchased... Again, I ran it by them and we were all in agreement. 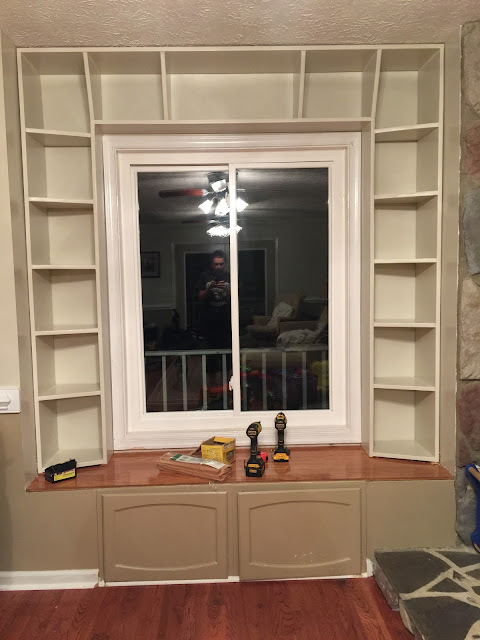 The original plan was to use all 1" x 12"s. The new plan had the whole bookshelf slant inwards. So the outer edge would remain 12" deep but the inner edge would be 8". It would require slightly more figuring but wouldn't make it exponentially harder. Bee and I returned some of the wood, refigured our amounts, and bought the remaining pieces needed. We got home and stacked it in the garage. Husband got home and tried really hard to stay out of it. However, he saw the different sized boards and got worried we bought the wrong sizes. Au contraire mon cheri! He promptly left us to it. Here is a color coded drawing of the plan. 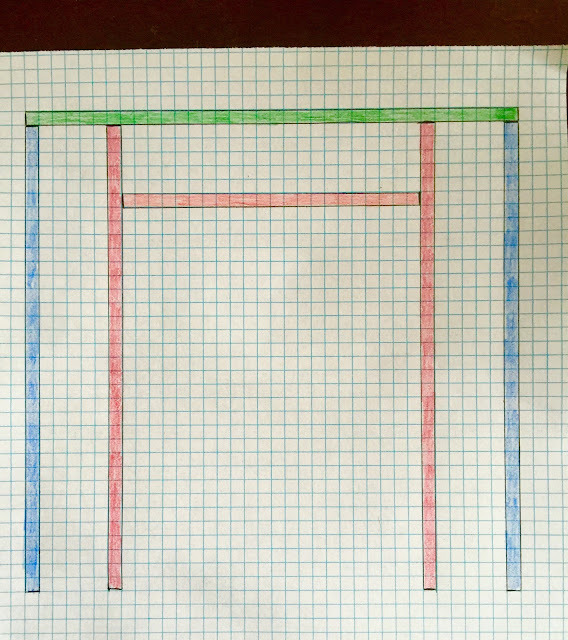 The blue and green pieces are 1"x12"s while the red and orange pieces are 1"x8"s. The shelves don't matter to the basic structure so I left them off for simplicity's sake. The measurements are insignificant because it's highly unlikely my space is the same size as anyone else's. What matters is how it gets put together. If I can recommend anything- measure a dozen times. We found our space around the window was neither even nor square front to back, left to right, or top to bottom. It took a LOT of finagling to get it into place. Here is the order we put it together. Everything was screwed using a countersink bit. The green is the board along the ceiling. We screwed the blue legs in using 3 long screws per piece. 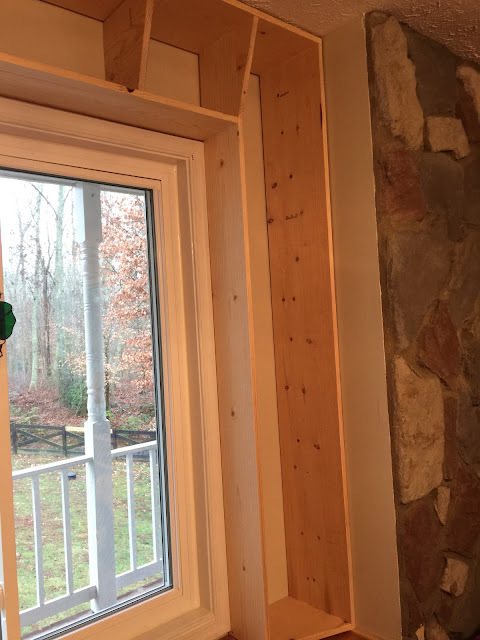 The orange piece was barely wider than the window casing- and I mean barely. We screwed the narrow legs into that and then joined the wide and narrow pieces together. 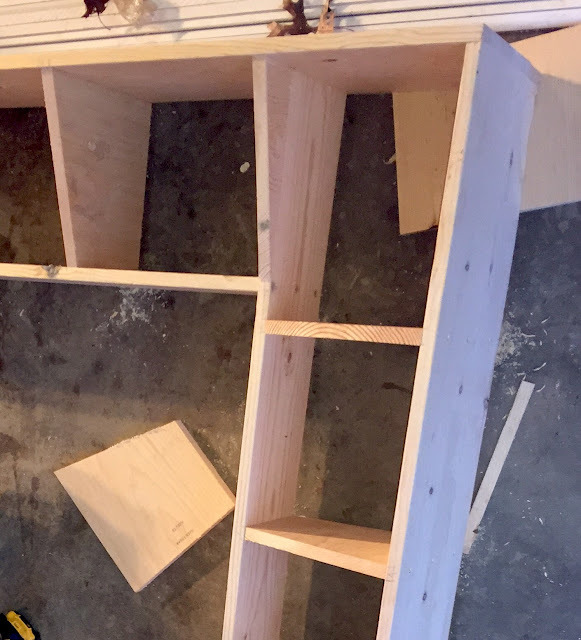 It was fairly flimsy so we cut a couple shelf pieces and added those for stability. A quick test fit let us know we were on the right track. Do you see what I mean about being barely larger than the window casing? It was a tight fit. This angle lets you see the concave shape of the overall form. 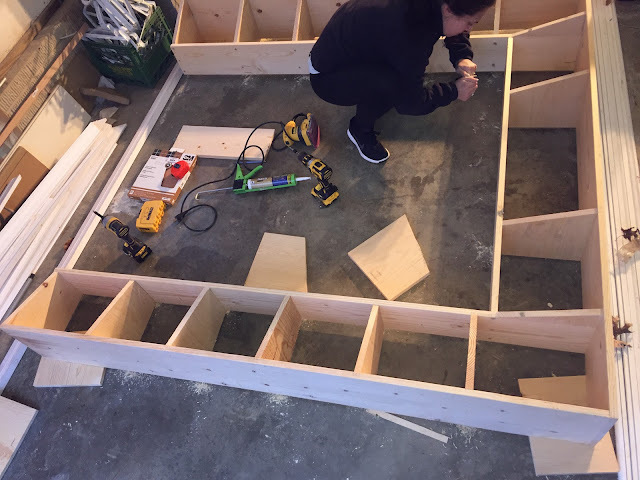 For the shelves, we didn't have to figure out any angles. 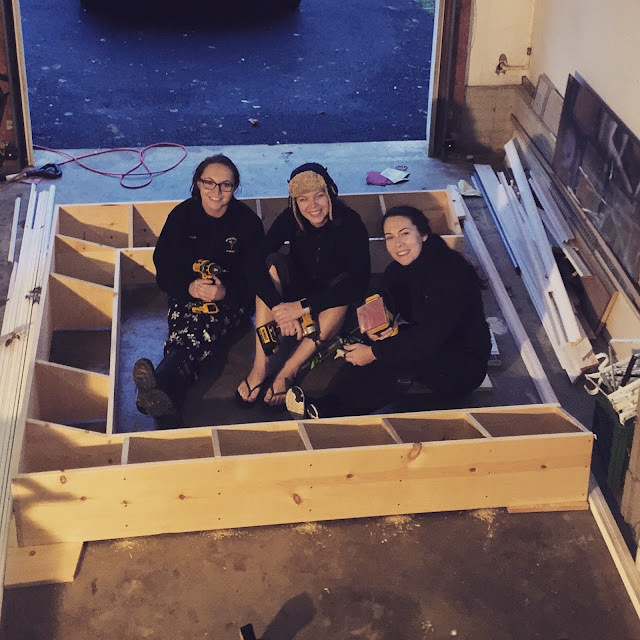 We used 1"x12' pieces cut to the correct shelf width. After measuring the front side where it would meet the 1"x8"- we drew a line and cut on that. It was very simple. 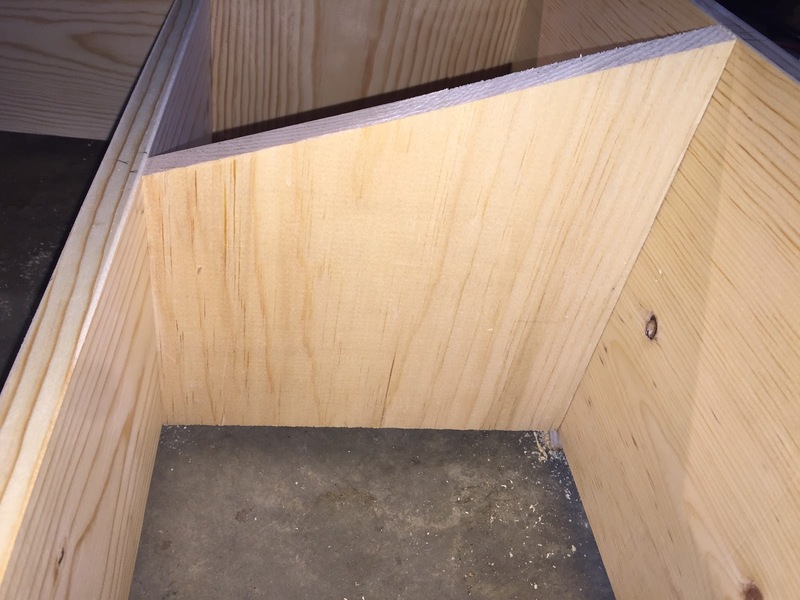 For the uprights near the corners, we used scrap pieces to create an angled face piece so that it matched the rest. We just countersunk screws right into the face and filled the holes later. You can see it in the photo below. Bee went around and filled all the holes before the entire thing was sanded and painted. We are extremely proud of what we built. This is before screwing it to the walls and putting quarter round around the entire thing. 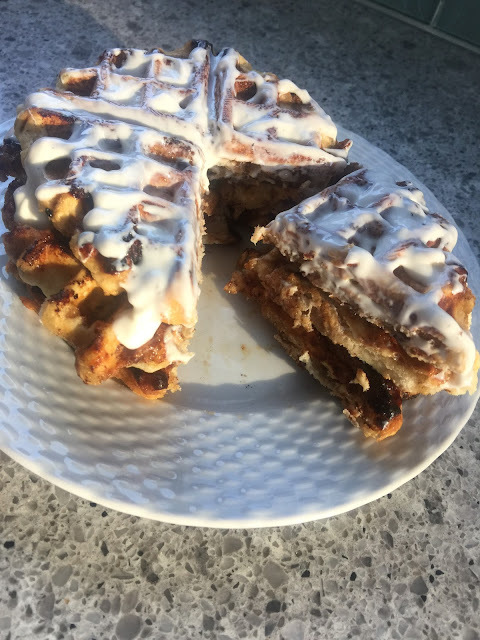 Cinnamon Roll Waffles Recipe- From Scratch!! For as long as I can remember, my grandmother has made the absolute best cinnamon rolls. They're a labor of love and patience. They easily take 12+ hours to make, let rise, cut, let rise again, bake, cool a bit, and glaze. With 3 kids in the house, 4 if you count my impatient husband, that kind of time is a rarity. I make cinnamon rolls quarterly. It usually means staying up way past the point of feeling tired and rising before the sun to get them baked by breakfast. There had to be a better way to enjoy the flavors in a much quicker fashion. Enter Pinterest. Purely by chance, someone I follow had posted a cheat sheet for food cooked on a waffle iron. The following weekend Husband's best friend and his best friend's girlfriend were coming into town. I was extremely pregnant with our third child and couldn't partake in any of the drinking festivities that encompassed the weekend. I could, however, make lots of food. 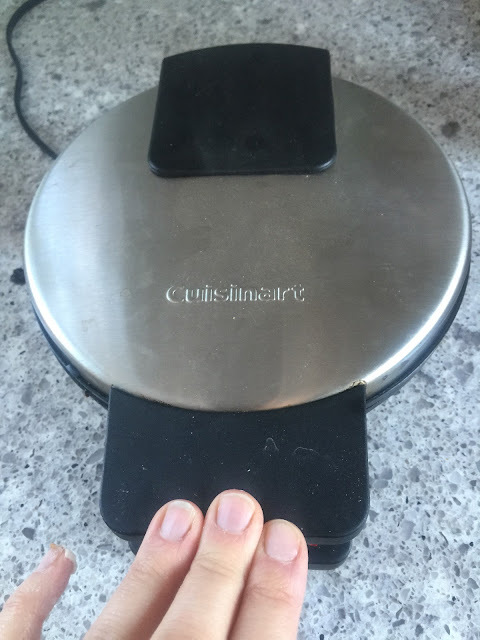 So late one night we broke out the trusty waffle iron and the cheat sheet of food. 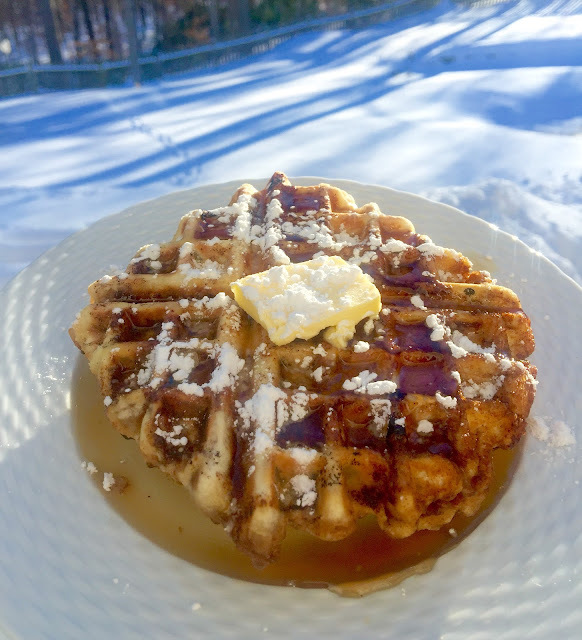 We made grilled cheeses- big win!, tater tot patties- I was not sold but the other 3 were, bacon- we all prefer it cooked in an oven, liege "sugared" waffles- SO good (they're the ones you often find at ski resorts), and cinnamon rolls. 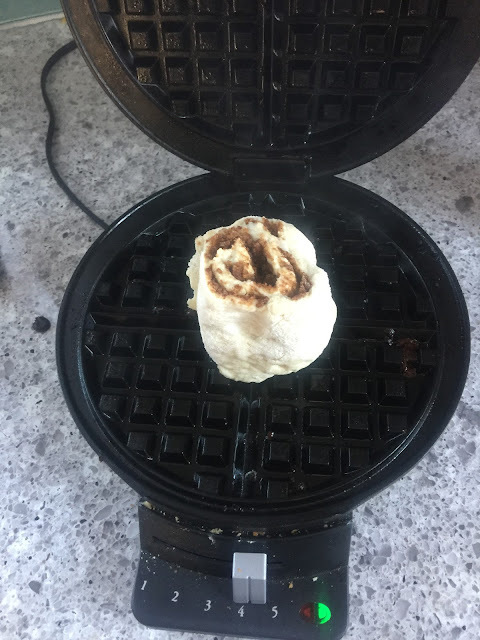 I bought 2 packages of the pre-made extra large cinnamon rolls and they were delicious in the waffle iron!! We literally fought over them. As good as they were, I'm not a fan of all the unpronounceable garbage in those rolls. Almost a year later, I had an idea. 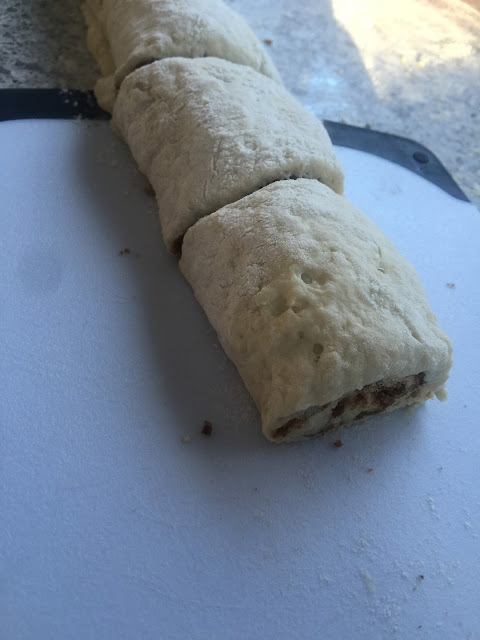 What if I could tweak the liege dough to be a bit stiffer but just as light, and roll them up around cinnamon roll filling? What could possibly go wrong? LOTS! They were tough, then far too sticky, then they didn't rise. That's a lot of lessons learned and eventually it worked! It only took a 'snowpocalypse' to give me enough time cooped in my kitchen to make this work. This recipe needs no rise time, it's quick to come together, the ingredients are readily available, and it only uses 2 bowls. I got so excited after making a successful batch that I forgot to take pictures of the second batch's beginning. In one bowl you'll mix all the dry ingredients. Stir them just enough to incorporate everything. Then mix in the melted butter and buttermilk. The dough is sticky. Too much flour leaves a tough, dry waffle. No one wants that. Do not over-flour or over-mix your dough. If you do not have buttermilk on hand (which I NEVER do when I want waffles), simply combine 1 cup plus 3 tablespoons milk with 1 tablespoon fresh lemon juice. Let it sit for a few minutes and it'll thicken nicely. The buttermilk gives these waffles a familiar and welcome tang. In a second bowl combine the cinnamon, brown sugar, butter, salt, and nutmeg. Stir until it is well mixed. 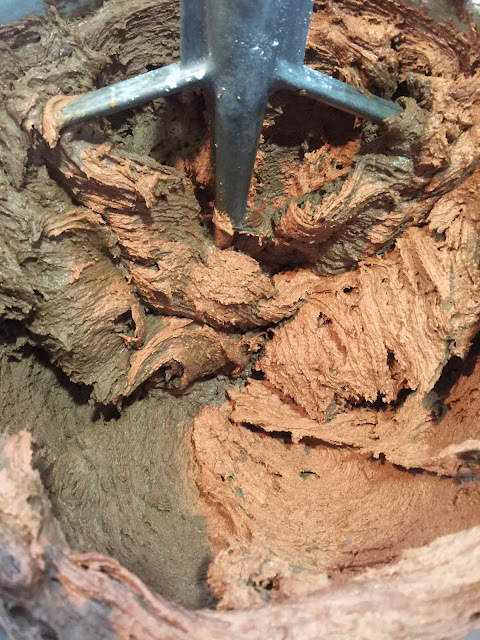 Roll the dough on a well-floured surface until it is a rectangle roughly 10"x 12" in size. Crumble and spread the cinnamon filling over the dough. Roll it up like a standard cinnamon roll. 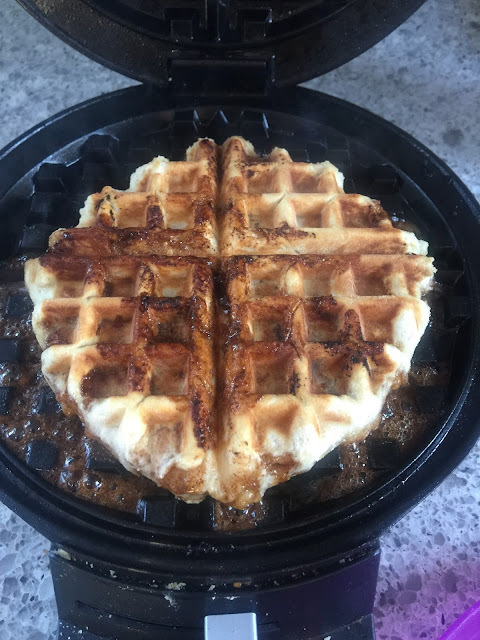 Heat up your waffle iron to a moderately high heat- I toggled mine between 3 and 4. Cut the roll into 2"-3" pieces. Put one piece on a well-greased waffle iron. Hold the lid closed for 3 seconds. This forces the dough to spread out instead of up. The filling will ooze out a bit and that's ok! I had to wipe mine out every 3 waffles to keep the filling from burning. 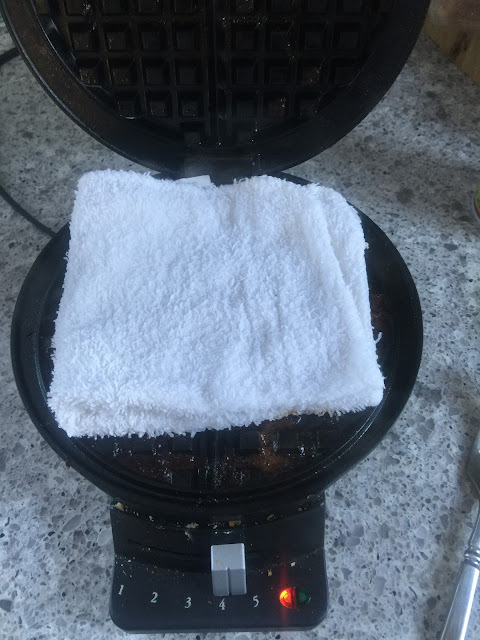 After all the waffles are cooked, I pop a wet washcloth onto the unplugged iron, close the lid, and let it steam itself. Voila! Cinnamon roll waffles! The taste is definitely cinnamon roll but the mode of eating is all waffle. My son *needed* cream cheese icing on his- I was happy to oblige. :) Donut glaze (powdered sugar, a bit of vanilla, and a bit of milk) works really well too! 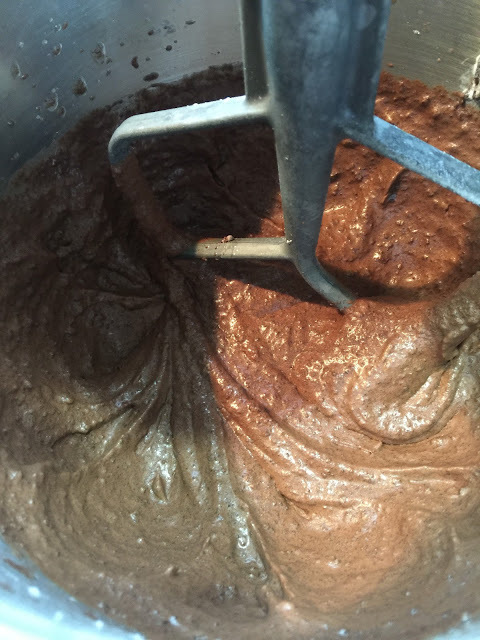 Whisk together flour, sugar, baking powder, soda, and salt in a mixing bowl. Mix together the buttermilk and melted butter, pour into the dry ingredients. Stir gently until just combined. Do not over mix. Dough will be sticky. 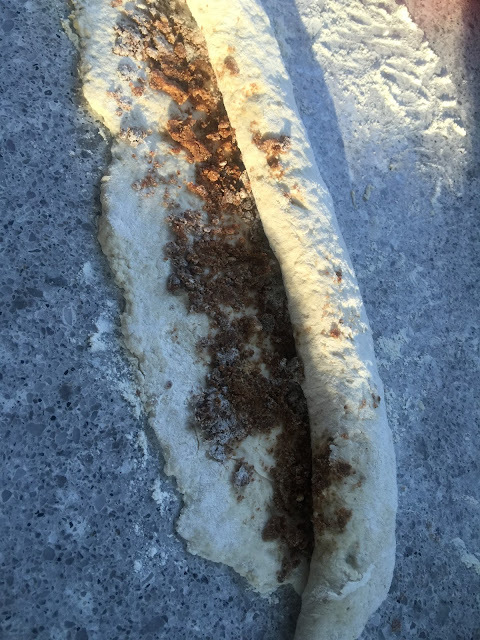 Generously flour your work surface, and roll into a rectangle that is about 12" x 10". Combine all the filling ingredients in a small bowl. Spread evenly over the dough. 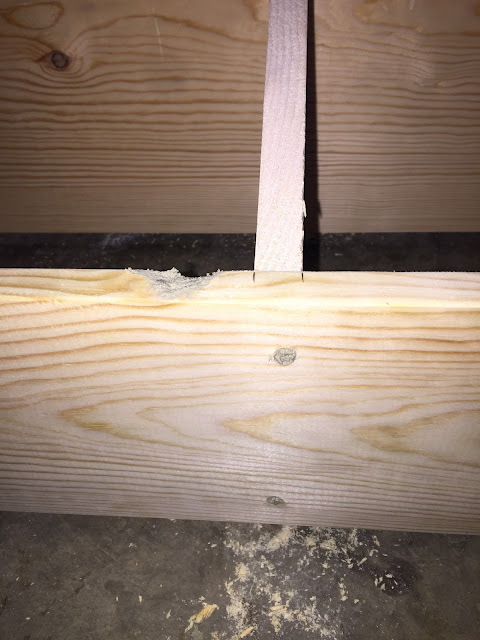 Roll up lengthwise and seal to pinch the seam. Cut into 2"-3" slices, and place on a hot waffle iron that has been brushed or sprayed with oil. Press down lid for 3 seconds. Cook for 2-4 minutes until golden brown. Serve immediately or keep warm in a 200*F oven. Do not stack in the oven as they'll get a bit soggy.